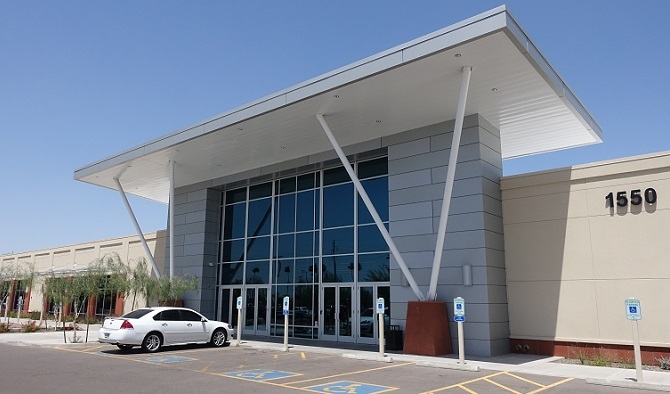 That was the message delivered to Santander Consumer USA from the Arizona city at Tuesday’s official opening of operations that eventually will employ nearly 1,000 people in its Fiesta district. 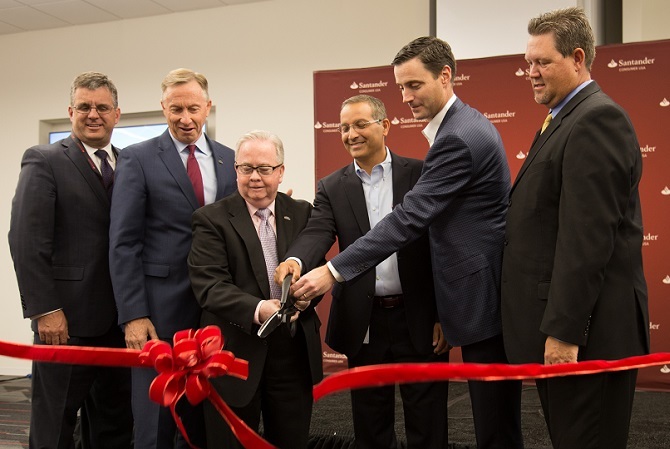 “We are excited to be part of the community here and look forward to contributing to the growth of new jobs, housing, education opportunities and overall development of the area,” said Jason Kulas, chief executive officer of Santander Consumer USA, at the ceremony. Cutting the ribbon at Santander Consumer USA’s new offices. Kulas said the Centrica development in the Fiesta district is an ideal location for the company because of the area’s walkability, accessibility to public mass transit, proximity to universities and a skilled workforce, and a highly desirable climate that reduces the impact of inclement weather on operations. Mayor John Giles and Vice Mayor Dennis Kavanaugh represented the city at the event. 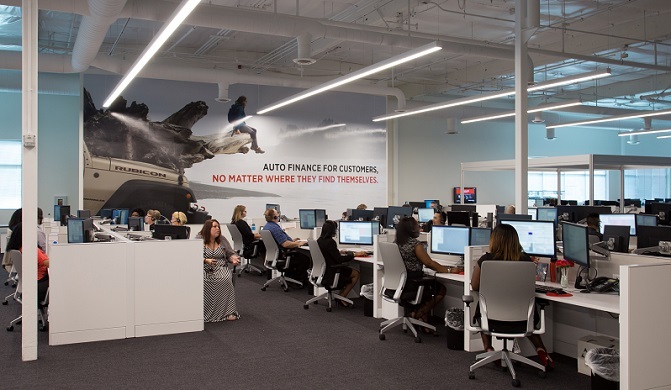 The 117,000-square-foot location allowed Santander Consumer USA, a vehicle-finance and third-party servicing company, to design a space that aligns with its diverse, collaborative and productive workforce, while being modern, safe and in line with its brand. Owners of the Centrica development in which the company will be located have noted the area’s proximity to a workforce of more than 1.7 million people within a 30-minute drive. Mesa is a suburban community of about a half-million people located just east of Phoenix. Santander Consumer USA, which began lending in 1997, has a serviced finance portfolio of approximately $52 billion (as of Sept. 30, 2015) and services loans for more than 2.5 million customers. For more information, visit www.santanderconsumerusa.com. 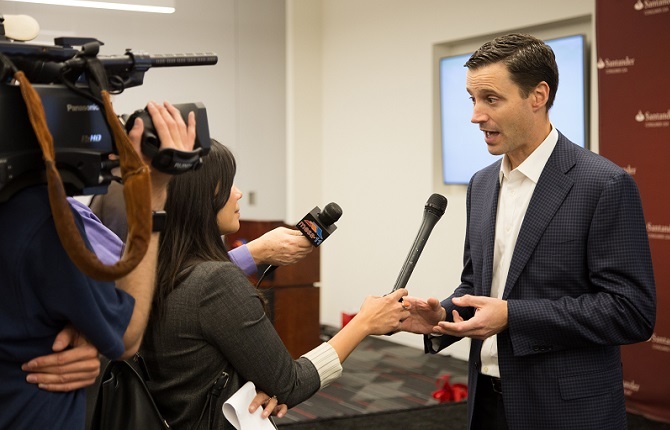 CEO Jason Kulas meets the press at the Mesa, AZ, grand opening. 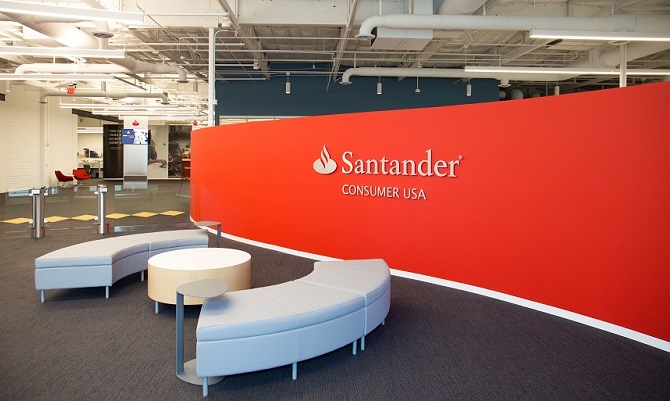 A look inside Santander Consumer USA’s new offices. Santander Consumer USA’s new place in the Arizona sun.